The Clayborne brothers were a rough gang of street urchins - until they found an abandoned baby girl in a New York City alley, named her Mary Rose, and headed to Blue Belle, Montana, to raise her to be a lady. They became a family - held together by loyalty and love, if not blood - when suddenly a stranger threatened to tear them apart. Growing up behind the impenetrable walls of an English fortress, young Magdalen does not know that she is the illegitimate daughter of a powerful English prince and his murdered French mistress - or that she has been a pawn in the struggle between England and France ever since she slipped from her dying mother's womb. All she knows is that she longs for excitement. And then one day, as if in answer to her prayers, the splendid figure of Guy de Gervais, a true knight in shining armor, rides into her cloistered world and spirits her away. It's December 1837, and the young adults of the Cynster clan have succeeded in having the family Christmas celebration held at snowbound Casphairn Manor, Richard and Catriona Cynster's home. 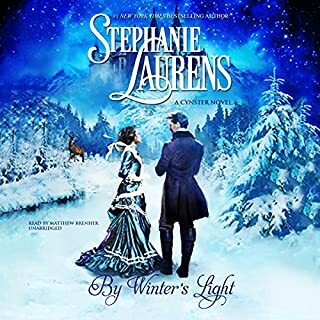 Led by Sebastian, Marquess of Earith, and by Lucilla, future Lady of the Vale, and her twin brother, Marcus, the upcoming generation has its own plans for the holiday season. Slow start but good setup for next book. They are England's most eligible bachelors, with the most scandalous reputations. But for the right woman, even an unrepentant rogue may mend his ways…Lady Grace Mabry's ample inheritance has made it impossible for her to tell whether a suitor is in love with her…or enamored of her riches. Who better to distinguish beau from blackguard than her notorious childhood friend, the Duke of Lovingdon? With no interest in marriage, Lovingdon has long lived only for pleasure. He sees little harm in helping Grace find a proper match. Really, it's too much to expect any normal man to behave like a staid accountant in order to inherit the fortune he deserves to support the lifestyle of an earl. 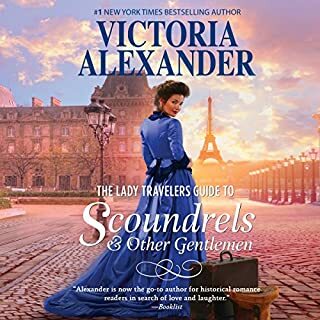 So when Derek Saunders's favorite elderly aunt and her ill-conceived - and possibly fraudulent - Lady Travelers Society loses one of their members, what's a man to do but step up to the challenge? Now he's escorting the world's most maddening woman to the world's most romantic city to find her missing relative. After a grizzly bear kills Antonia Valleau's trapper husband, she packs her few worldly possessions, leaves her home in the mountains of Montana, and treks to nearby Sweetwater Springs, seeking work to provide for her two young sons. An Emotionally Intense Historical Western Romance! As heir to a title and great wealth, Will Masterson should have stayed home and tended his responsibilities. Instead he went to war. Now, after perilous years fighting the French, he intends his current mission to be his last. But all his plans are forgotten when he arrives in the small mountain stronghold of San Gabriel and meets her. Knowing herself to be too tall, strong, and unconventional to appeal to a man, Athena Markham has always gloried in her independence. At Queen Elizabeth's palace, intrigue abounds. And when a naive girl with a gift for keen observation enters the court, she can hardly imagine the role she will play in bringing England - - indeed, the whole of Europe - to the brink of war. Nor can she foresee her own journey to the brink of ecstasy and beyond. 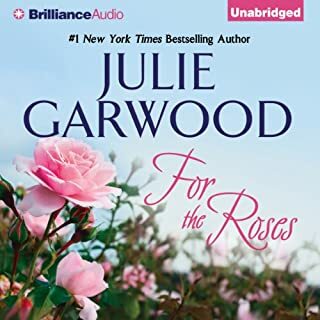 When she becomes a junior lady of Queen Elizabeth's bedchamber, Rosamund is instructed by her cousin, the brilliant and devious secretary of state Sir Francis Walsingham, to record everything she observes. Her promised reward: a chance at a good marriage. Lady Guinevere Mallory has been married four times in 12 years, and each of her husbands has died mysteriously. Adept in the laws of property, she has secured the land of each of her late spouses, vastly increasing her personal wealth. After the death of her fourth husband, this trend raises some eyebrows at the royal court, and Hugh of Beaucaire is sent to investigate these puzzling events. Not bad, but veeerryyy ssslllooowwww narration. Waking up in the arms of the man of your dreams is usually a cause for celebration. And for the beautiful Bryony Paget, it is. Well, until she remembers her aristocratic background. 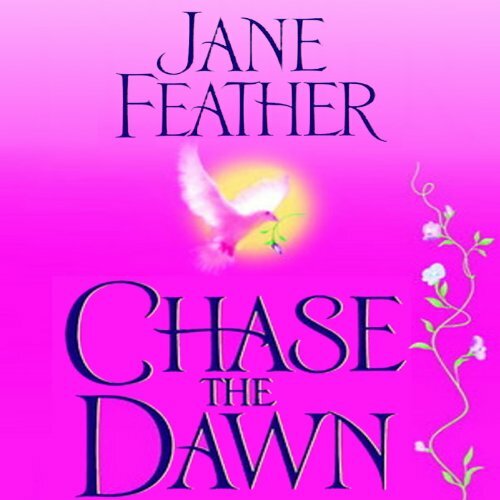 Performed with a warm, yet serious delivery from veteran narrator Phoebe Dunn, Chase the Dawn is the romantic story of young Byrony Paget, who after being rescued from a devastating fire by the handsome, yet rebellious Benedict Clare, is forced to choose between her Loyalist father for whom she cares or the American patriot who has her heart. Fleeing a fiery inferno, beautiful, aristocratic Bryony Paget falls unconscious into the arms of a handsome stranger. She awakens with no memory of her proud aristocratic past - only the stirrings of desire kindled by her mysterious rescuer. American patriot Ben Clare has no time for romance - or for the dark-haired beauty who interfered with his midnight raids for liberty. But he cannot resist Bryony's innocent passion - and together they steal joy amid the strife of bitter war. Too soon the cruel discovery of Bryony's true identity forces her to choose between the Loyalist father she adores and the rebellious man she could never live without. 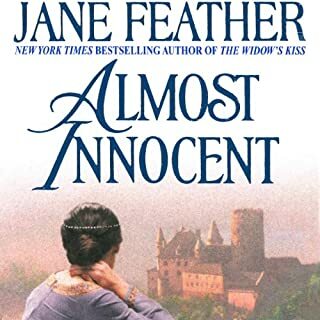 ©1998, 2004 Jane Feather (P)2013 Audible, Inc.